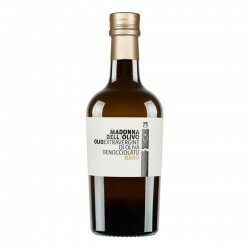 The farm Madonna dell'Olivo produces high quality extra virgin olive oils in Campania, in Serre, from over 2000 plants on an area of almost 7 hectares. The farm stands in the middle of olive groves, at the Sanctuary of the Madonna dell'Olivo (XVI century), from which it takes its name. The passion and ability of the owner of the company have allowed him to achieve extraordinary results over time. All the oils are pressed into the oil mill owned by the farm in a continuous cycle with cold pressing, and are obtained from pitted olives. The cultivars, depending on the microclimate and the land where they live, give rise to different oils with characteristic flavors and aromas; no more olives mixed with each other, but oils obtained from individual varieties that express the 'true' flavor of the Rotondella, Carpellese, Itrana, Ravece cultivars. Every phase of the production of Extra Virgin is followed with the utmost care, from harvesting to pressing, from storage in special containers under nitrogen to bottling, which occurs only when ordering. Most of the company's production is destined for sale on a foreign market. 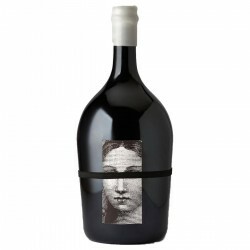 The 1.5-liter RARE bottle with its beautiful packaging also had the honor of being present at the Gallery of Modern Art in New York.